Art: Good for the whole family! If you are looking for something green to do on the weekend with kids now that it's getting hot, why not take a trip to the National Gallery of Modern Art? Museums are green because they fly in the face of modern throw-away culture. They are about preservation and sharing--not disposal. And they are democratic: unlike private collections, museums are a way for us all to share all kinds of interesting things--and the ideas they inspire. You will not like everything you see in the National Gallery of Modern Art, but it will make you think a lot more than an afternoon in front of the TV would. We went a few weeks back and had a great time wandering through several exhibits, talking about the photography and paintings we saw. I taught the kids the "See-Think-Wonder" thinking routine I mentioned in Tuesday's post, and they actually enjoyed it--after the requisite eye rolling, of course. It generated some good discussion and thinking. More than that, I think it gave us all a structure that allowed us to engage with art that otherwise might have seen intimidating to talk about. One thing you have to love about the museum is the price tag: Rs. 10 for adults and Rs. 1 for children. Not bad--at that price, you can let your kids invite a friend and still have enough left for a Mother Dairy Lick Lolly afterward! The National Gallery of Modern Art is located as it is at the end of Rajpath, facing the India Gate. For more information about ticket prices and what's showing, go to its official website. 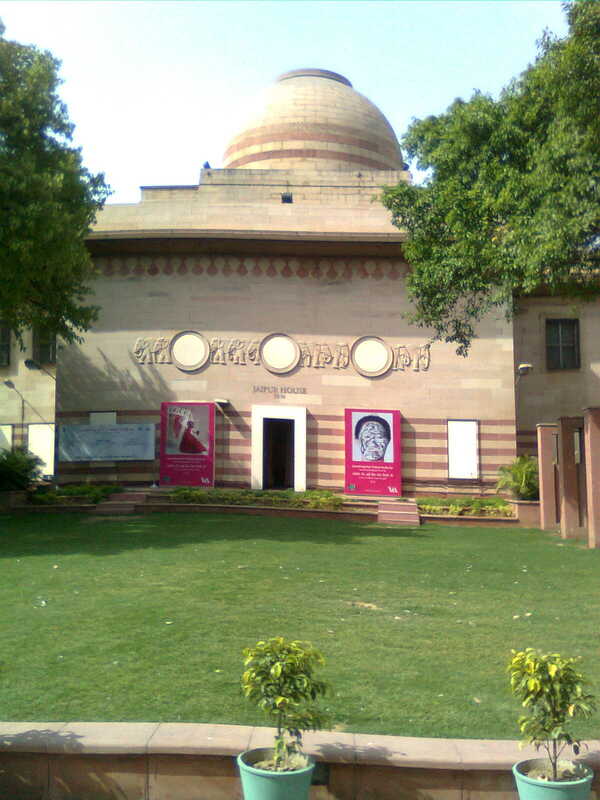 So this is what NGMA at Delhi looks like. The collection must be simply fabulous. The Bangalore one is great too, especially the grounds and Amrita Sher Gill's paintings. And yes, the price is unbelievable for an afternoon's entertainment. The grounds and Amrita Sher Gill's paintings.Why? The Chennai one is great too, especially the grounds.Your blog gives us the aggressive circumference.